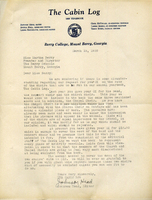 A note from Martha Berry to C. B. Keim, instructing him on having the boys' choir sing a certain song for the anniversary, as well as to combine the bands for at least one rehearsal for the occasion. 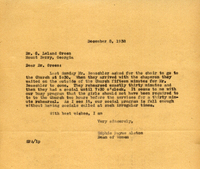 A letter from Henry Edmonds to Martha Berry, thanking her and the choir for singing at the Independent Presbyterian Church. 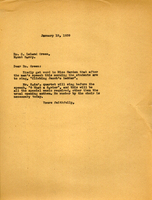 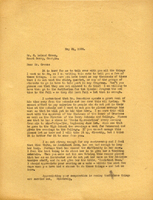 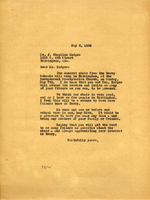 A letter from Martha Berry to Dr. Leland Green regarding Mr. Beaschler. 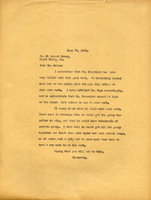 She, once again, is very dissatisfied with the music instructor's work, and asks that he does more to justify his salary.